God our Father bless you and shield you. Christ our Mother shelter you and carry you. + both now and forever. If a few eyebrows raised, not to worry. If people revolted in violent protest, worry. Ideally, people will engage, enquire, reflect, and theologically wrestle with the concepts and images in our liturgy. You’re lucky if you have people that do this. I assume that the language in the benediction during Lent has something to do with the image of God as a mother hen longing to gather her chicks as was referred to in a gospel reading. We use words that carry both gender and relational connectedness when we refer to other people. So “father” and “mother” refer both to a biological connection and to gender. When it comes to references to the Trinity, God has no gender. Referring to God as “Father” or “Mother” is about using relational terms to describe our relationship with God. The earthly Jesus was clearly male. The resurrected Jesus? Mystery to me. We have to start from the perspective that God has no gender. God is spirit. The roles that God plays, however, include both mother and father. “From the Bible: In Isaiah, God says (about God’s self), “Can a mother forget her infant, be without tenderness for the child of her womb? Even should she forget, I will never forget you” (Isaiah 49:15). In a prayer of desperation, Moses uses similar womb imagery, speaking of God as one who gives birth, asking God, “Was it I who conceived all this people? or was it I who gave them birth…?” (Numbers 11:12). 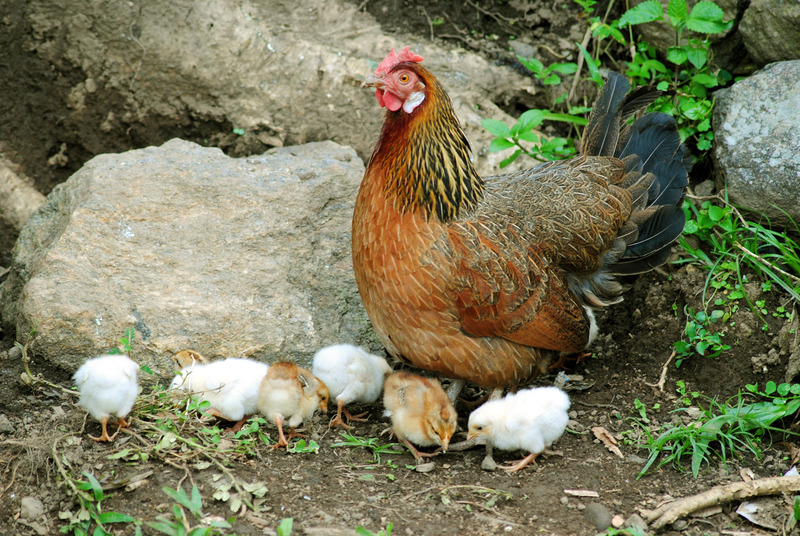 Hosea describes God as a mother bear, attacking those who steal her cubs (13:8) Jesus compares himself to a mother hen who longs to gather her chicks together under her wings (Matt. 23:37, one of the gospel texts during this season of Lent). The saints of the past also have more to say: St. Augustine observes that just as a mother’s body transforms ordinary table food–too complex for a baby’s delicate digestive system–into milk that is tailored to the baby’s needs, so does the Lord convert Wisdom into “milk” appropriate for our limited understanding. Another early church father, Clement of Alexandria, devotes an entire chapter to this mysterious process of mother’s blood becoming milk, musing over the various ways this connects to the spiriutal world. In one example, he views Christ as the nourishment that flows from the “Father’s breast,” feeding us with the milk of love. St. John Chrysostom writes of Christ as a mother who does not farm her babies out to a wet nurse but rather feeds them personally and tenderly. St. Catherine of Siena compared Christ’s sacrifice on the cross to a mother who takes a bitter medicine so her nursing baby can get well again.” (quoted from Julie McCarty) So, throughout the history of the church there is a rich heritage of understanding God as having mothering characteristics. Also, historically the church is referred to in the feminine as “her” or “she.” If the church is the body of Christ, wouldn’t that be inclusive of Christ (as head of the body) to be called “her” or “she”? There is some mystery there. I’m comfortable living in the tension. 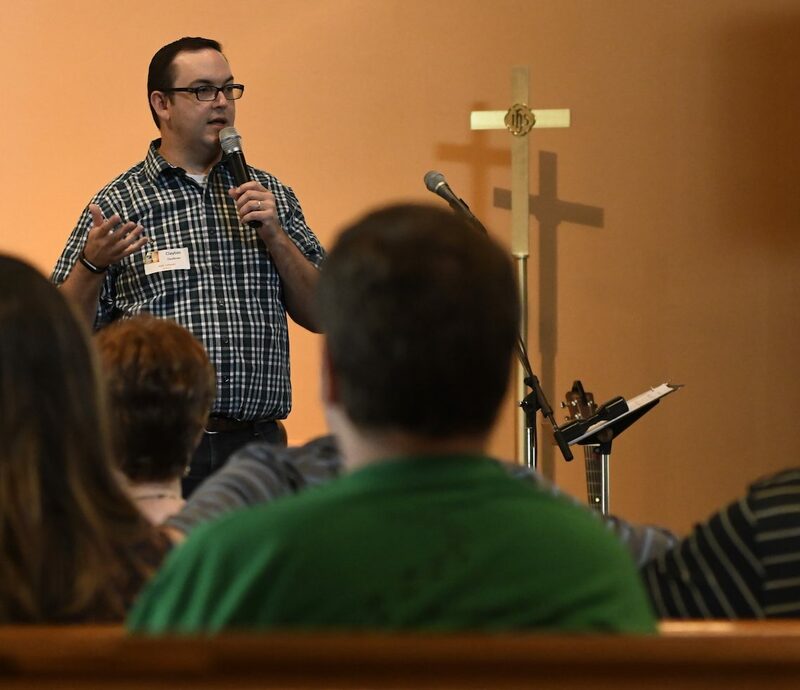 Big Takeaway from Session 4: We dove into some biblical and theological explanations of what the “church” is. The church is the creation of the Holy Spirit. No one really decides for themselves to become a part of the church. The Spirit of God is always drawing people into community first. The church’s model for community comes from the Trinity. The Trinity is our model for a relational, organic community of interconnected, mutually submissive relationships. The mission of the church is wrapped up in the narrative story of a Three-in-One (communal) God that is re-creating everything into a new and perfect community. A process for discerning whether “membership” is where God is leading someone might be a helpful thing to offer (but without a specific time frame expected for completion). If a process for discernment is suggested, it would be helpful if the steps are easy to understand and communicated well. It seems that regardless of people’s “membership” status, everyone should feel welcomed and encouraged to participate (with no guilt attached for not becoming a “member”).